Those are the first three lines of a moving eulogy — as Prime Minister Lee Hsien Loong called it — by former United States Secretary of State Henry Kissinger, himself a giant in global diplomatic circles. Writing in the Washington Post, Dr Kissinger said that Mr Lee emerged onto the international stage as Singapore’s founding father and developed into a world statesman who acted as a kind of conscience to leaders around the globe. Paying tribute to a colleague and friend he had known for more than four decades, Dr Kissinger recalled that fate initially did not appear to have provided Mr Lee with a platform to succeed, as he described Singapore’s turbulent post-colonial years which saw the Republic kicked out of Malaysia. “It was cut loose because of tensions between Singapore’s largely Chinese population and the Malay majority and, above all, to teach the fractious city a lesson of dependency. Malaya undoubtedly expected that reality would cure Singapore of its independent spirit,” wrote Dr Kissinger. “But great men become such through visions beyond material calculations. Lee defied conventional wisdom by opting for statehood,” he wrote, adding that Mr Lee’s choice reflected a deep faith in the virtues of his people. Dr Kissinger, who was the US Secretary of State from 1973 to 1977, said that Mr Lee took Singapore to places it had never been, turning it into a global financial centre with quality education, no corruption and a high per capita income for her people. “Superior performance was one component of that achievement”, said Dr Kissinger. “Superior leadership was even more important. As the decades went by, it was moving — and inspirational — to see Lee, in material terms the mayor of a medium-size city, bestride the international scene as a mentor of global strategic order. Dr Kissinger said as a pilgrim in quest of world order and responsible leadership, Mr Lee understood China’s relevance and potential and often contributed to the enlightenment of the world on this subject. Dr Kissinger noted that Mr Lee’s domestic methods “fell short of the prescriptions of current US constitutional theory”. “But so, in fairness, did the democracy of Thomas Jefferson’s time, with its limited franchise, property qualifications for voting and slavery. Dr Kissinger ended with a moving note on Mr Lee’s wife, Madam Kwa Geok Choo. “The great tragedy of Lee’s life was that his beloved wife was felled by a stroke that left her a prisoner in her body, unable to communicate or receive communication. Through all that time, Lee sat by her bedside in the evening reading to her. He had faith that she understood despite the evidence to the contrary,” Dr Kissinger wrote. Dr Kissinger’s words moved Prime Minister Lee Hsien Loong to comment on the eulogy on his Facebook page yesterday (March 24). 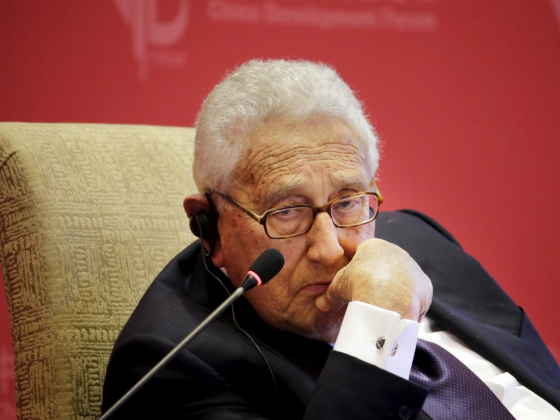 “Henry Kissinger was an old and close friend of my father’s,” the Prime Minister wrote. My comment: Yup, LKY has always been a straight talker. If you watch his speeches, etc, throughout his career, you'll find that LKY was one mighty consistent fella. His beliefs, analyses, etc. Singapore and the world will miss him.